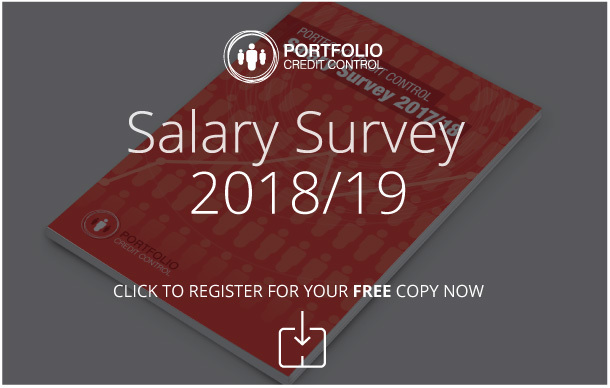 The recruitment consultants at Portfolio Credit Control will work tirelessly to ensure your name is in the frame for the best opportunities around. We will highlight your skills to potential employers and find roles that suit the criteria you’re looking for at this important stage in your career. However, once you get to the interview stage, it falls you to show the employer that you’re the best person for the job. While we obviously can’t be in the room with you, we do have a lot of experience working with businesses and we know the kind of questions they will ask. Here’s what you should be prepared to talk about. This is something every employer wants to know, and we all know what the right and wrong answers are here. Generally speaking, honesty is the best policy. You should be applying because you are passionate about working in credit control, while you will also have researched the company in question and found things that made you decide to press ahead with your application. You need to let this shine through when you’re talking to recruiters. Enthusiasm and evidence that you know a bit about their company are key to getting your name near the top of their list. Of course, there are obvious things you shouldn’t say. Don’t mention salaries at this stage, nor should you cite how close the office is to your home as a reason for your application – even if you do this in jest, the recruiter has only just met you so it may not be clear. Not every credit control recruiter regards qualifications as a deal-breaker. Many are happy to use your past experience as evidence enough that you are right for a role. Either way, you should demonstrate how what you’ve learned can be applied to the role you’re interviewing for. If your role is one that requires you to possess CICM accreditation, you may be asked what inspired you to pursue such a qualification. While career progression will likely have been a driving factor, you should instead focus on how what you’ve learned has helped you grow in your current role. Similarly, you might be asked about your current role, and how what you do for your employer helps the business. This will give the recruiter a chance to assess whether your skills would translate well to their work environment. An interview is a chance to highlight your credentials, so don’t be shy about doing so. You should make sure that you have specific examples of why your attributes will be useful. For example, if you have good interpersonal skills, talk about how this has helped you work as part of team and deal with a range of clients. You will also be asked about your weaknesses. Everyone has a weakness, including you, so you should have something prepared here that you can turn into a positive. For example, you could talk about ways in which you’re looking to improve in certain areas, either through training or putting your name forward for tasks that push you outside your comfort zone. This option is much better than overstating the experience you really have, as you will only get found out later. How would you approach a client who has a payment overdue? How would you deal with a client who was refusing to pay? How would you handle a client who became angry or aggressive? These are questions you will know the answer to, so remain calm and draw on your own experience to discuss these topics. Need help breathing new life into your credit control career? If you’re looking for new opportunities, Portfolio Credit Control can help. We’ll provide you with a dedicated recruitment consultant who will be there to support you throughout the process and ensure your CV gets in front companies where you can really thrive. Call us now on 020 7650 3199.